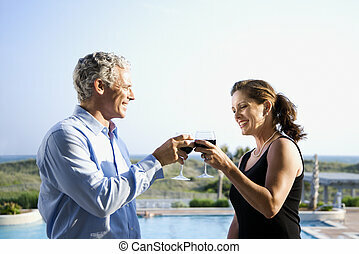 Couple with blueprints toasting. African american male and female couple with architectural blueprints toasting with their coffee cups. 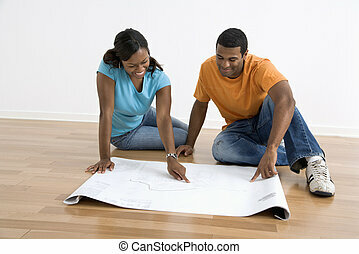 African American male and female couple lying on floor looking at architectural blueprints. 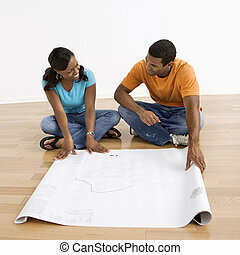 African American male and female couple sitting on floor looking at architectural blueprints. Middle-aged couple sitting on floor with architectural blueprints. 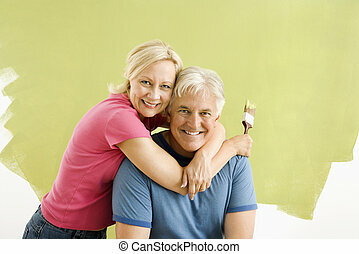 Portrait of happy adult couple standing in front of half-painted wall with paint supplies \'American Gothic\' style. 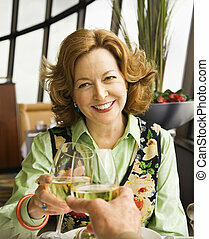 Caucasian mid-adult couple making toast with wine glasses. 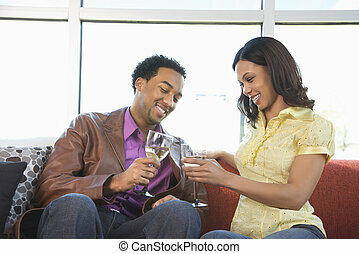 African American couple toasting with wine glasses. 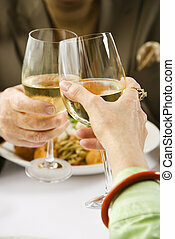 Prime adult Hispanic female and Caucasian prime adult male toasting sitting at table. 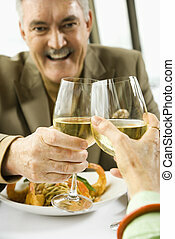 Caucasian mature couple toasting with white wine in restaurant. 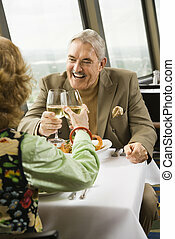 Mature couple dining and toasting in fancy restaurant by window with rooftop view of urban landscape. 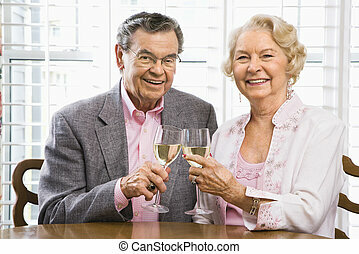 Mature Caucasian couple toasting wine glasses. Caucasian mid-adult male and female looking at blueprints in construction phase of house. 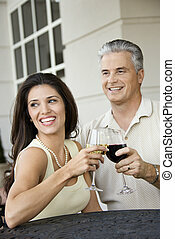 Attractive couple sitting on home floor with coffee cups looking at house plans and smiling at each other.